Johannes Gutenberg (c. 1398 – February 3, 1468) was a German blacksmith, goldsmith, printer, and publisher who invented the world’s first printing press. Gutenberg’s printing press revolutionised the creation of books and helped make them affordable, ushering in a new era of affordable books and literature. Gutenberg was born in the German city of Mainz. He started his working life as a merchant but then moved into work as a blacksmith and goldsmith. 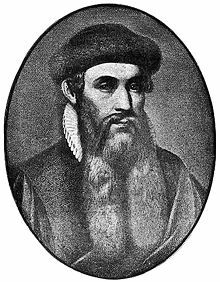 Sometime in his 30s, Gutenberg moved, with his family to Strasbourg. At one point, Gutenberg became heavily indebted due to a failed investment in holy mirrors. It is said he promised his creditors that they could have a share in the new printing press that he was working on. It is also said the idea for the printing press, came like a flash of light, though this may have been an embellished story – added at a later day. The genius of Gutenberg’s printing press is that it incorporated various technologies from different fields into a practical and affordable way of printing books. With financial backing from a wealthy moneylender Johann Fust, Gutenberg was able to bring his ideas to fruition. 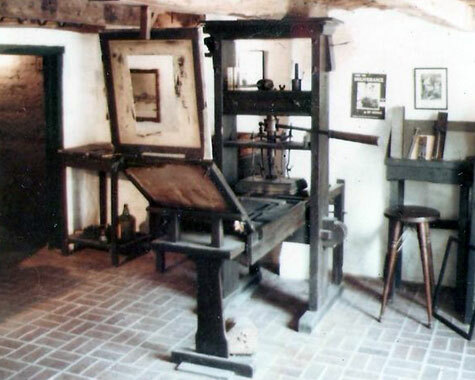 His first working printing press was revealed in around 1450 in Strasbourg. The key element of the printing press was the use of moveable type printing – adjustable wooden characters (later metal), the use of an oil-based ink and a wooden printing press derived from the screw presses used in agriculture. With the new invention, 42 lines could be printed at once, dramatically reducing the labour and cost of creating books (which previously had been handwritten manuscripts). This printing press was soon influential in the development of the Renaissance, The Reformation and The Age of Scientific Enlightenment. The new printing press helped provide an economical way to share ideas and knowledge in an affordable way for ordinary people. The most influential book published by Gutenberg was the Gutenberg Bible in 1455. His printing presses were later used to mass produce Bibles – helping to spread the most influential book of the era. The Gutenberg Bible is acclaimed for its high quality of design and quality. 180 copies of the original Gutenberg Bible were produced, mostly on paper and some on vellum. Despite the genius of his invention, Gutenberg was never really able to financially capitalise on his invention, but the technology soon spread across Europe – especially to Venice and Italy, where printing played a key role in the Renaissance. Gutenberg died in 1468 and was buried in a church in his hometown of Mainz. Ironically, since Church indulgences were the first thing Gutenberg printed, the printing press was also very influential in the Protestant Reformation. 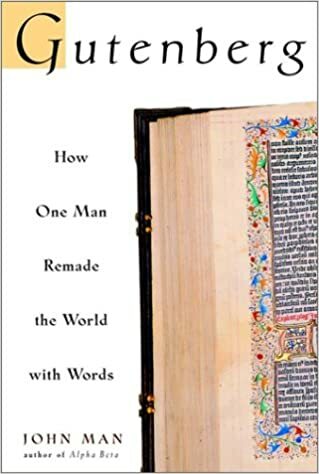 Martin Luther was one of the early pioneers of mass producing pamphlets (over 300,000 were produced during his lifetime) and his short theses mass produced were critical for spreading ideas about the Reformation. Citation: Pettinger, Tejvan. “Biography of Johannes Gutenberg”, Oxford, UK www.biographyonline.net 28 Dec. 2012. Updated 11 Jan 2018. Johannes Gutenberg created printing press?